The question whether a Chromebook can replace a Microsoft Windows laptop is something a lot of people have asked themselves. This usually happens when their Windows laptop needs replacing. Let’s take a look at whether a Chromebook can truly replace a traditional laptop. The Chromebook was launched in 2011 and it’s fair to say it didn’t get a very good start. A lot of people didn’t understand the concept of a Chromebook. 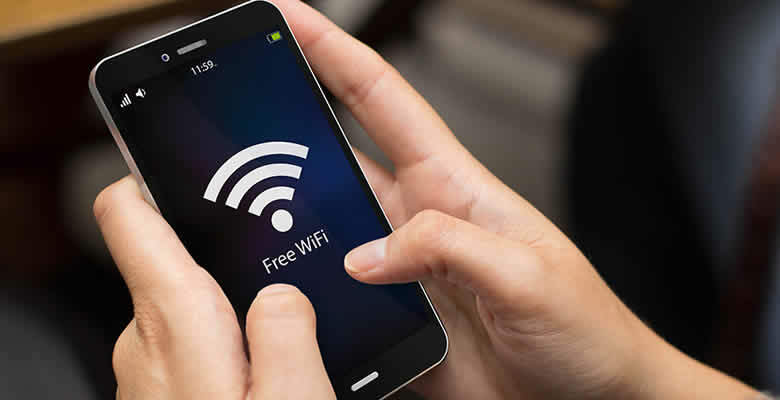 The idea of a Chromebook is that you will almost always be using it with an internet connection. Although it’s only seven years since they were launched, back then having internet access, especially on the move was not so common. However, fast forward seven years and most people have access to the internet at home and on the move. This instant access to internet access means the Chromebook is a much more attractive offer than it was previously. However, the Chromebook has also changed since launch and you can use your Chromebook without an internet connection for most tasks. When the Chromebook was launched not having internet access was a big issue. None of the apps would work without it and this caused concern for potential Chromebook owners. Since then Google and other app providers have worked hard to make sure a lot of the apps you would want to use on the move work offline. They work whether you have internet access or not. For example, you can now easily use Google Docs to write an essay without having access to the internet. Perhaps you need to work on a spreadsheet on the train to work, again, this can now be done using your Chromebook offline. When you consider most people use their laptops to surf the internet and not much else, the Chromebook is a perfect choice for this. If you think about it for a second, what do you do on your laptop? It’s true some people use their laptops for editing videos and intensive graphic design. If this is the case, then the Chromebook is probably not the best choice and you should look elsewhere. However, for the majority of people, internet surfing is what they spend the majority of the time doing when using a laptop. If this is the case, then it makes no sense buying a Microsoft Windows laptop. 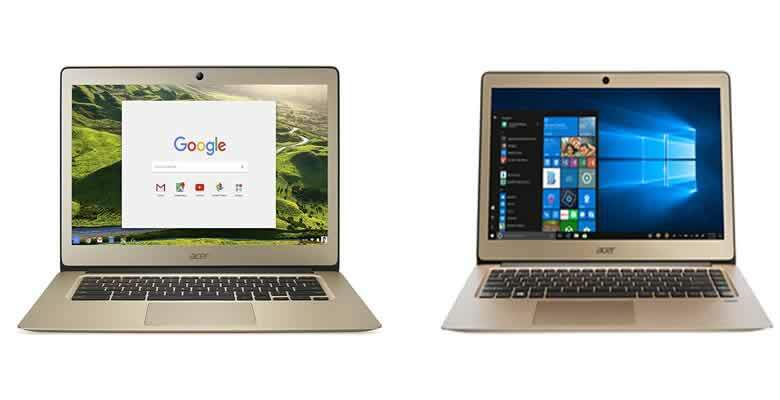 The reason people still struggle with the idea of buying a Chromebook instead of Microsoft Windows is that they are used to Microsoft Windows. If you go back 10 years and think about the choices you had when choosing a new laptop. The choices you had were very slim. You either were a Microsoft Windows user or an Apple Mac user and this greatly decided on what laptop you would purchase. This is no longer the case because we now have mobile phones, tablets and the Chromebook. Your mobile phone or tablet can never truly replace a laptop because you don’t have a physical keyboard. However, the Chromebook is definitely a good replacement to the traditional laptop for most of us. The problem is people tend to stay safe when purchasing a new laptop and opt for Microsoft Windows out of habit. This is not necessarily a wise thing to do, as the Chromebook is superior to a Microsoft Windows laptop in many ways. If you take a look at technology, it’s changed a lot over the last 10 years, but Microsoft Windows has not. Ok, we have the launch of the latest and apparently last ever operating system Windows 10. However, Microsoft Windows still needs to work for everyone. If you think about all the programs created for Microsoft computers and all the programs that are used in businesses around the world. Most businesses use Microsoft Windows and Microsoft need to ensure their operating system works with these systems. The problem with this is that 90% of users don’t need to use 90% of Microsoft Windows. As already mentioned, if the majority of people only use their laptop to surf the web, why would you need to worry about maintaining an operating system that can do much more. This is why Microsoft Windows becomes so slow overtime. Let’s start off by saying Microsoft Windows is going nowhere soon. This is mainly because it is used by most businesses around the world. However, for the consumer, it’s an outdated technology. How often have you had to deal with your computer crashing or updates that take ages? How often have you bought a brand new Microsoft Windows laptop and for it to work perfectly for a few weeks, then you start to see a decline in its performance? It starts to take ages to boot up, you get error messages that just appear, but you just get used to them and click ‘continue’. Before you know it, it can take 10 minutes to boot up your PC and get access to the internet. Why bother with all this if you spend most time surfing the web? The Chromebook, on the other hand, is a totally different experience. A Chromebook boots within seven seconds and you can be on the internet browsing within about 15 seconds flat. This never changes, it does not matter whether you’ve had your Chromebook for a week or two years; it still works as it did the day you bought it. This is why the Chromebook has grown in popularity. It’s no longer the case to access the internet you need to either go for Apple or Microsoft. You now have a choice and for the majority of people choosing a Chromebook makes absolute sense. If you need a laptop for video editing or extensive music production then stick to your Microsoft or Apple laptop. If you spend the majority of your time surfing the internet, then choosing a Chromebook is the better choice. You get instant access to the internet without the hassle. No longer do you need to wait for updates that take ages. The Chromebook updates in seconds. Another great thing about the Chromebook is, it’s almost impossible to make the Chromebook crash. It’s also, almost impossible to get a virus on a Chromebook. Think of the time you waste managing Microsoft Windows just so you can use your computer every day. How much extra money do you pay on Anti-Virus software? The world of technology has changed a lot and the Chromebook is the laptop that has moved with that technology. If you want a hassle-free life without the constant threat of your computer crashing. Then it’s a no-brainer, your next laptop purchase has to be a Chromebook. Interested in knowing more about the difference between Chromebooks and Microsoft Window computers? Then have a read of this in-depth article What is a Chromebook and how it differs to Microsoft Windows. I agree 100%. I worked at Best Buy in 2009 when the Chromebook came out. Someone bought one and didn’t like it, so they returned it. I bought it and never looked back. Of ALL the computers I’ve worked with (and there were a lot!) the chromebook was the easiest and most reliable! Totally Agree, I love my Mac, but I have used chromebooks exclusively for weeks, even doing a 7 day offline challenge where I wrote, edited, worked, played video and music without an internet connection. Everything I did synced as soon as I had a connection (don’t ask how much email I had to clear). The Mac is perfect for video and audio editing, but a Chromebook is a safe, secure and pretty cheap option for the other 95% of life. Our office recently upgraded to Microsoft Office 365 which puts Outlook and all the MS apps online. I’m now able to access all of my work and email documents on my personal Chromebook. I haven’t used my work Windows PC in weeks! Love my Chromebook. Like many others I am a Chrome enthusiast, I use Chromebook, Google assistant (and peripherals), Google Fiber for internet, TV and phone. I have been using my Chromebook for 3 years now, only using an old MS computer for my Fed & State tax returns near the start of each year. Maybe this year the software will operate on Chrome. I truly believe that the Chrome OS is the future of computing for the consumer and maybe eventually business too. Apple has priced itself almost out of the general consumer market. As long as Google can keep affordable prices on the Chrome line they will become the industry leader. We left Windows 20 years ago, switching to Linux desktops. In the last year, we retired our desktops, and switched to Chromebooks with Android and Linux apps. It was a definite upgrade.